This return policy only applies to customers within the United States and its territories. For our Canadian customers, please refer to this article for more information. Satisfaction Guaranteed. 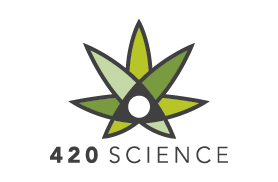 If you buy a 420 Science branded product, and you're not completely satisfied, we’ll take it back & we’ll pay the return shipping. You can read more about the 420 Science product guarantee here. On all other products that aren't made by us, you can initiate a return on any unused items within 48 hours of delivery for either store credit with free return shipping or a refund to your original payment method for a $5.75 shipping fee that would be deducted from the overall refund.